The US Environmental Protection Agency released a definitive study this week concluding that hydraulic fracturing can impact drinking water at each stage in the shale gas production process. Do we really want to see 16,000 or more shale gas wells drilled in the British countryside carrying the same and other risks, ask Professors Peter Strachan and Alex Russell? In the latest of Newsnet.scot’s occasional series, they assess the case for fracking in the UK against six “stress tests” and conclude that it fails in each case. Plans for onshore shale gas extraction – or rather high volume hydraulic fracturing (HVHF) or fracking – are proving to be somewhat explosive in the UK. Politically there is a north south divide on the wisdom of engaging with fracking, with the Conservative controlled south hell bent on pushing it at all costs and the Scottish National Party (SNP) north dancing a ‘dinna ken’ highland jig around the issue, much to the chagrin of Scottish Conservative leader Ruth Davidson. Following the publication of six reports on 8 November the Scottish Government has now announced that it will launch a consultation in January 2017, with a final decision likely to be reached in the second half of 2017. 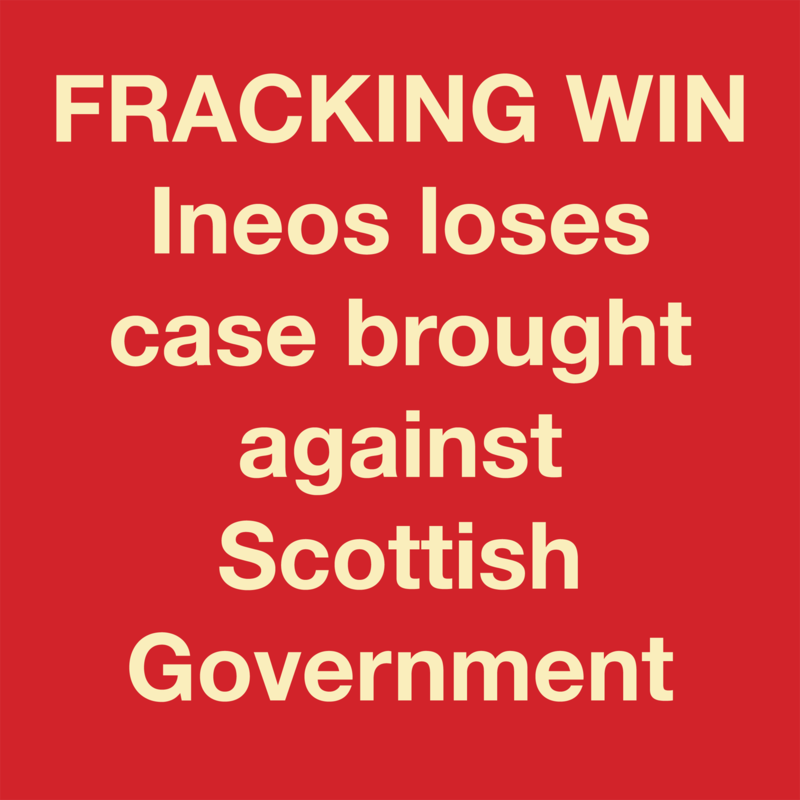 We believe that fracking fails on all counts and should be banned in Scotland and across the whole of the UK, even if this seems more unlikely in England at this moment (see here). The fracking industry’s Achilles-heel is that it lacks any meaningful public support, even in the US. A recent Gallup Poll undertaken there found that: only 36% favour fracking, with 51% opposing it. Dare an increasingly unpopular UK Government continue to support its business funding links at the expense of the public when even its Department for Business, Energy and Industrial Strategy (BEIS) Public Opinion Tracker published in October 2016 found that: only 17% of the general public support fracking. In comparison: 79% support renewables. Another opinion poll undertaken by ICM (for the Institution of Mechanical Engineers) two years ago found that nearly half of those surveyed would be unhappy to have a fracking play within a 10-mile radius of their homes. Proximity is an important issue in the UK. In Scotland fracking wells will be located close to densely populated areas. A survey by BMG Research reported in the Herald newspaper last month found that 54% of Scottish respondents said that they supported a ban on fracking and fewer than a fifth were opposed to the ban. Francis Egan, Chief Executive of shale gas producer Cuadrilla, revealed at a recent House of Lords Economic Affairs Committee that his company has found it extremely difficult to get to the point of drilling even one well. This has taken around four years, he said. In the same timeframe he said the US shale industry has drilled some 120,000 wells. Drilling anywhere near that number of wells in Scotland and England, would amount to the UK becoming one giant gas field. Lower estimates suggest that around 16,000 wells will be drilled, which in terms of the tiny landmass of the UK is very significant indeed. Wells will be fracked near and perhaps even under people’s homes, their places of work, and the schools that their children attend. In the US fracking is proving to be a boom and bust industry. At a recent Oil and Gas UK Business Breakfast, Martin Gilbert the Chief Executive of Aberdeen Asset Management also said that fracking is a debt-laden industry. Additional tax receipts: £0.5 billion. In terms of impact on jobs, in Australia it has been found that for every 10 new gas jobs created, 18 agricultural jobs were lost. Fracking will prove toxic to other economically important sectors. Drawing on experience from elsewhere it may well damage tourism, the agricultural, food and drink sectors, and even the banking sector. In addition to being famous for its castles, whisky and fare, one of Scotland’s unique international selling points is the scenic beauty of its mountains, rivers and wider natural environment. A natural environment that is free of toxic water, land and air. Any major fracking push will undoubtedly damage Scotland’s brand and the wider economy long term. The recent financial crisis witnessed in the US fracking industry will undoubtedly impact on the banking sector’s appetite to invest up to $100 billion over a 20-year period to make the industry meaningful in the UK. Since the start of last year, more than 60 North American oil and gas companies have gone bust, with liabilities totaling $22.5 billion. According to one report, “even if crude prices return to $50 to $60 a barrel, half of the shale companies will be unable to stay in business”. Closer to home The Telegraph has recently reported that Cuadrilla had very little revenue in 2015, recording losses of almost $18 million. Yet the independent news site Drill or Drop revealed that Cuadrilla’s directors were paid more than $1.5 million in 2015, with the highest paid director receiving a pay packet of more than $700,000. With such losses the question arises, will the fracking industry ever generate any tax revenue for the Treasury? It would be possible to ask the Office for Budget Responsibility for their best guess but why bother given the inaccuracies of their previous oil and gas forecasts? It is clear that government, business, and researchers (medical, natural and social scientists) are only just starting to understand the wider impacts on people and the environment. The scientific literature that is available has mostly been published since 2013. 87% found elevated air pollutants and atmospheric concentrations of pollutants. This article, “Toward an Understanding of the Environmental Health Impacts of Unconventional Natural Gas Development” and the literature upon which it is based, is a must read for anyone wishing to understand the risks associated with fracking. A filmed presentation of the findings and the methodology that underpins this article can be viewed at the 2016 Shale Gas and Public Health Conference. A second study clearly indicates the dangerous, and arguably unacceptable nature of the chemicals used in fracking. Undertaken by the Yale School of Public Health and published in the journal “Science of the Total Environment” it found that numerous carcinogens involved in fracking have the “potential” to contaminate water, land and air. The research team examined an extensive list of chemicals. Both the UK and Scottish Government have scored brownie points in the past by claiming to be family-friendly in their approach to making policy decisions. Here is an acid test for them. Research has shown the most vulnerable section of society through their potential exposure to the carcinogenic pollutants used in fracking are children, with leukemia being a major concern. 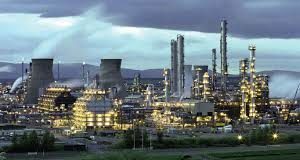 So a question for Theresa May, Greg Clark, and Nicola Sturgeon: What is more important to you, the dividends that will be paid to shareholders in oil companies or the health of children of ordinary people? The science behind the public health and environment impacts of fracking is now starting to emerge, with more public and privately funded research needed. But what should concern the general public is that insufficient weight appears to being attached to these issues. What peer-reviewed medical evidence that is available appears to being overlooked to facilitate fracking. Fracking without Carbon Capture and Storage (CCS) technology is a show-stopper. Commissioned by the Scottish Government, the report “Unconventional Oil and Gas: Compatibility with Scottish Greenhouse Gas Emission Targets” concludes that emissions from fracking, would be “significant” and “inconsistent” with climate change emission targets. Research by Professor Nick Cowern and Dr Robin Russell-Jones submitted to the UK Climate Change Committee identified a key problem with fracked gas: from a climate change perspective, fugitive methane emissions make shale gas worse than coal by a factor of two. Methane is a powerful greenhouse gas. It has a Global Warming Potential (GWP) 87 times greater than an equivalent mass of CO2 on a 20 year timeframe. These researchers have further noted, “that overall half of the rise in atmospheric levels of methane seen globally since 2007 is due to oil and gas, notably shale extraction in the US”. Fracking is a gangplank for climate chaos. As such, where does this leave our commitments to the Paris Agreement? Onshore fracking, rather than being a panacea to the multifaceted energy conundrum confronted by UK, is more likely to exacerbate its dire energy plight. First, fracking fails lamentably to address the looming 2020 energy crisis for a multitude of reasons, including the obvious fact that a UK shale revolution could never happen quickly enough. 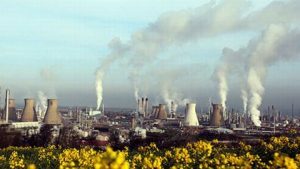 It would only take one untoward incident – be it contamination of an aquifer, leakage of methane on a grand scale, flooding from one of the huge number of required decontaminating standing storage units for polluted water from the wells or even a fracking-induced earthquake – to totally derail the entire UK fracking venture. There has to be a better way to keep the lights burning and our homes warm. Second, by placing too much focus on fracking at the expense of other energy options the UK Government is creating energy insecurity. It is a threat to the offshore oil and gas industry and the renewables sector. Fracking in the US has caused the loss of thousands of UK North Sea-related jobs. It is unimaginable that a UK Government should add to that woe by aping US fracking folly. 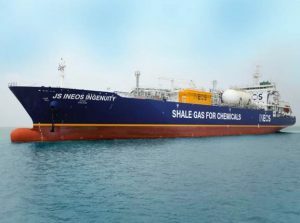 Third, the focus by the UK Government on “gas” as a bridging fuel is derailing the UK’s transition to a lower carbon economy. Is the UK really serious about taking a world lead in showing the way forward for others to follow? Or has a short-term fix blinded Westminster to taking an ethical approach to its energy policy? Based on this statement, the publication of their six expert reports on fracking and other evidence (including that presented in this article) the SNP Government at Holyrood should, with pride, take an ethical approach and ban onshore fracking. Nicola Sturgeon should meet the challenge head on and show the outside world that Scotland really has the claim to being an independent free thinking nation, not controlled by short-term unethical fixes, or dominated by self-serving resource consuming nations like the US. Is this what we want to see happen in the UK as well? Ban fracking now and put Fraxit into the world lexicon. Peter Strachan (@ProfStrachan) is Professor of Energy Policy, Robert Gordon University. Professor Alex Russell is Chair of the Oil Industry Finance Association. The opinions expressed in this article are those of the authors and not those of the Robert Gordon University or Affiliates. Previous articleBasques and Catalans: Spanish lessons for Westminster and Whitehall? Podcast: After last year, who dares predict what 2017 will bring? Fracking ‘ban’: A firm stand against the unacceptable, or gesture politics?